You may need to apply for a social welfare payment for a short time to help you while you look for a job. However if you are under pension age (66) and are fit for and genuinely seeking work then you can apply for Jobseeker’s Allowance* on return to Ireland. You can do this at your local social welfare office. First things first, you will need a Personal Public Services Number (PPSN). If you have lived in Ireland before, you will likely already have one of these. 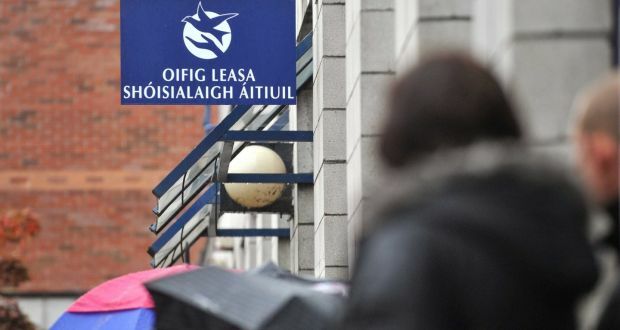 If you’re not sure, you can contact the Department of Employment Affairs and Social Protection’s Client Identity Services to check on +353 71 967 2616 (or 1890 927999 from within Ireland). If you or your children do not have PPS numbers you will need to apply for one at your local PPSN Registration centre on your return. To save time book an appointment before you come back at www.mywelfare.ie. You will need proof of your Irish address. This can be a utility bill in your name or a letter from the bill-payer stating that you are residing with them and a bill in their name. Photo ID is also essential, as well as evidence that you need a PPS number for a transaction with a specified body (a copy of your Jobseeker’s Allowance form should provide evidence of this). Jobseeker’s Allowance is a means-tested payment. As such, you will usually need to provide information on your income, savings and assets. The Department will usually look for bank statements for at least the last 6 months from all accounts and details of property you own but don’t live in. If you are married or cohabiting with your partner, you will be jointly assessed. To read more about the means test, see here. You will also need to satisfy the Habitual Residence Condition (HRC) in order to qualify for this payment. You should ensure that you are familiar with this condition and useful supporting documentation before you return to Ireland. Read our HRC information page to get a better understanding. You will need to submit a HRC1 form along with your Jobseeker’s Allowance form when making your application. You will also need to show evidence on a regular basis that you are capable of, available for and genuinely seeking work. Emails to or from prospective employers via job websites, or proof of attending interviews will generally be enough to show this. You can add your children and spouse or partner to your application in order to get an increase for them. They will need PPS numbers in order for you to do this. For more information on how to apply for Jobseeker’s Allowance see here. * If you last worked in Ireland less than 2 years ago, you might be eligible a PRSI based payment like Jobseeker’s Benefit instead. See welfare.ie for more information.